Items where Author or Contributor is "Frost, C"
Anderson, VM; Fernando, KTM; Davies, GR; Rashid, W; Frost, C; Fox, NC; (2007) Cerebral atrophy measurement in clinically isolated syndromes and relapsing remitting multiple sclerosis: A comparison of registration-based methods. Journal of neuroimaging, 17 (1). pp. 61-68. ISSN 1051-2284 DOI: https://doi.org/10.1111/j.1552-6569.2006.00081.x Full text not available from this repository. Andre, R; Weiss, A; Trager, U; Grueninger, S; Farmer, R; Landles, C; Scahill, R; Lahiri, N; Haider, S; MacDonald, D; +6 more... Frost, C; Bates, G; Bilbe, G; Kuhn, R; Wild, E; Tabrizi, SJ; (2012) MUTANT HUNTINGTIN FRAGMENTATION IN IMMUNE CELLS TRACKS HUNTINGTON'S DISEASE PROGRESSION. [Conference or Workshop Item] https://doi.org/10.1136/jnnp-2012-303524.70 Full text not available from this repository. Archer, HA; Edison, P; Brooks, DJ; Barnes, J; Frost, C; Yeatman, T; Fox, NC; Rossor, MN; (2006) Amyloid load and cerebral atrophy in Alzheimer's disease: An C-11-PIB positron emission tomography study. Annals of neurology, 60 (1). pp. 145-147. ISSN 0364-5134 DOI: https://doi.org/10.1002/ana.20889 Full text not available from this repository. Archer, HA; Kennedy, J; Barnes, J; Pepple, T; Boyes, R; Randlesome, K; Clegg, S; Leung, KK; Ourselin, S; Frost, C; +2 more... Rossor, MN; Fox, NC; (2010) Memory complaints and increased rates of brain atrophy: risk factors for mild cognitive impairment and Alzheimer's disease. International journal of geriatric psychiatry, 25 (11). pp. 1119-26. ISSN 0885-6230 DOI: https://doi.org/10.1002/gps.2440 Full text not available from this repository. Archer, HA; McFarlane, F; Frost, C; Cutler, D; Fox, NC; Rossor, MN; (2007) Symptoms of Memory Loss as Predictors of Cognitive Impairment? : The Use and Reliability of Memory Ratings in a Clinic Population. Alzheimer disease and associated disorders, 21 (2). pp. 101-106. ISSN 0893-0341 DOI: https://doi.org/10.1097/WAD.0b013e318065bfc2 Full text not available from this repository. Ayres, JG; Frost, C; Holmes, WF; Venables, KM; Ward, SM; (2002) Safety Assessment of Marketed Medicines (SAMM) studies: problems addressed but problems raised. International Journal of Pharmaceutical Medicine, 16. pp. 167-169. ISSN 1364-9027 http://researchonline.lshtm.ac.uk/id/eprint/15339 Full text not available from this repository. Ayres, JG; Frost, C; Holmes, WF; Venables, KM; Ward, SM; (2002) A Safety evaluation of an extrafine aerosol of beclomethasone dipropionate in 6161 patients using the UK SAMM guidelines. International Journal of Pharmaceutical Medicine, 16. pp. 173-178. ISSN 1364-9027 http://researchonline.lshtm.ac.uk/id/eprint/15340 Full text not available from this repository. Barnes, DM; Anderson, AA; Frost, C; Barnes, J; (2014) Repeatability and Reproducibility of Measurements of Femoral and Tibial Alignment Using Computed Tomography Multiplanar Reconstructions. Veterinary surgery, 44 (1). pp. 85-93. ISSN 0161-3499 DOI: https://doi.org/10.1111/j.1532-950X.2014.12265.x Full text not available from this repository. Barnes, J; Bartlett, JW; van de Pol, LA; Loy, CT; Scahill, RI; Frost, C; Thompson, P; Fox, NC; (2009) A meta-analysis of hippocampal atrophy rates in Alzheimer's disease. Neurobiology of aging, 30 (11). pp. 1711-23. ISSN 0197-4580 DOI: https://doi.org/10.1016/j.neurobiolaging.2008.01.010 Full text not available from this repository. Barnes, J; Boyes, RG; Lewis, EB; Schott, JM; Frost, C; Scahill, RI; Fox, NC; (2007) Automatic calculation of hippocampal atrophy rates using a hippocampal template and the boundary shift integral. Neurobiology of aging, 28 (11). pp. 1657-1663. ISSN 0197-4580 DOI: https://doi.org/10.1016/j.neurobiolaging.2006.07.008 Full text not available from this repository. Barnes, J; Godbolt, AK; Frost, C; Boyes, RG; Jones, BF; Rossor, MN; Fox, NC; (2004) Measurement of rates of atrophy in the cingulate gyrus and its subdivisions in a group of patients with confirmed Alzheimer's disease (AD) and frontotemporal lobar degeneration (FTLD). Neurobiology of aging, 25. S295. ISSN 0197-4580 DOI: https://doi.org/10.1016/S0197-4580(04)80972-2 Full text not available from this repository. Barnes, J; Godbolt, AK; Frost, C; Boyes, RG; Jones, BF; Scahill, RI; Rossor, MN; Fox, NC; (2007) Atrophy rates of the cingulate gyrus and hippocampus in AD and FTLD. Neurobiology of aging, 28 (1). pp. 20-28. ISSN 0197-4580 DOI: https://doi.org/10.1016/j.neurobiolaging.2005.11.012 Full text not available from this repository. Barnes, J; Lewis, EB; Scahill, RI; Bartlett, JW; Frost, C; Schott, JM; Rossor, MN; Fox, NC; (2007) Automated measurement of hippocampal atrophy using fluid-registered serial MRI in AD and controls. Journal of computer assisted tomography, 31 (4). pp. 581-587. ISSN 0363-8715 DOI: https://doi.org/10.1097/rct.0b013e31802f4139 Full text not available from this repository. Barnes, J; Mitchell, LA; Kennedy, J; Bastos-Leite, AJ; Barker, S; Lehmann, M; Nordstrom, RC; Frost, C; Smith, JR; Garde, E; +2 more... Rossor, MN; Fox, NC; (2010) Does registration of serial MRI improve diagnosis of dementia? Neuroradiology, 52 (11). pp. 987-95. ISSN 0028-3940 DOI: https://doi.org/10.1007/s00234-010-0665-x Full text not available from this repository. Barnes, J; Scahill, RI; Boyes, RG; Frost, C; Lewis, EB; Rossor, CL; Rossor, MN; Fox, NC; (2004) Differentiating AD from aging using semiautomated measurement of hippocampal atrophy rates. NeuroImage, 23 (2). pp. 574-581. ISSN 1053-8119 DOI: https://doi.org/10.1016/j.neuroimage.2004.06.028 Full text not available from this repository. Barnes, J; Scahill, RI; Schott, JM; Frost, C; Rossor, MN; Fox, NC; (2005) Does Alzheimer's disease affect hippocampal asymmetry? Evidence from a cross-sectional and longitudinal volumetric MRI study. Dementia and geriatric cognitive disorders, 19 (5-6). pp. 338-44. ISSN 1420-8008 DOI: https://doi.org/10.1159/000084560 Full text not available from this repository. Barnes, J; Whitwell, JL; Frost, C; Josephs, KA; Rossor, M; Fox, NC; (2006) Measurements of the Amygdala and Hippocampus in Pathologically Confirmed Alzheimer Disease and Frontotemporal Lobar Degeneration. Archives of neurology, 63 (10). pp. 1434-1439. ISSN 0003-9942 DOI: https://doi.org/10.1001/archneur.63.10.1434 Full text not available from this repository. Bartlett, J; De Stavola, B; White, I; Frost, C; (2008) RE: "EFFECTS OF PAST AND RECENT BLOOD PRESSURE AND CHOLESTEROL LEVEL ON CORONARY HEART DISEASE AND STROKE MORTALITY, ACCOUNTING FOR MEASUREMENT ERROR". American journal of epidemiology, 167 (4). 502-3; author reply 503-4. ISSN 0002-9262 DOI: https://doi.org/10.1093/aje/kwm387 Full text not available from this repository. Bartlett, JW; De Stavola, BL; Frost, C; (2009) Linear mixed models for replication data to efficiently allow for covariate measurement error. Statistics in medicine, 28 (25). pp. 3158-78. ISSN 0277-6715 DOI: https://doi.org/10.1002/sim.3713 Full text not available from this repository. Bartlett, JW; Frost, C; (2008) Reliability, repeatability and reproducibility: analysis of measurement errors in continuous variables. Ultrasound in obstetrics & gynecology, 31 (4). pp. 466-75. ISSN 0960-7692 DOI: https://doi.org/10.1002/uog.5256 Full text not available from this repository. Bartlett, JW; Frost, C; Carpenter, JR; (2011) Multiple imputation models should incorporate the outcome in the model of interest. Brain. ISSN 0006-8950 DOI: https://doi.org/10.1093/brain/awr061 Full text not available from this repository. Boyes, RG; Gunter, JL; Frost, C; Janke, AL; Yeatman, T; Hill, DLG; Bernstein, MA; Thompson, PM; Weiner, MW; Schuff, N; +5 more... Alexander, GE; Killiany, RJ; Decarli, C; Jack, CR; Fox, NC; (2008) Intensity non-uniformity correction using N3 on 3-T scanners with mutichannel phased array coils. NeuroImage, 39 (4). pp. 1752-1762. ISSN 1053-8119 DOI: https://doi.org/10.1016/j.neuroimage.2007.10.026 Full text not available from this repository. Bunn, F; Collier, T; Frost, C; Ker, K; Roberts, I; Wentz, R; (2003) Traffic calming for the prevention of road traffic injuries: systematic review and meta-analysis. Injury prevention, 9 (3). pp. 200-204. ISSN 1353-8047 DOI: https://doi.org/10.1136/ip.9.3.200 Full text not available from this repository. Chan, D; Janssen, JC; Whitwell, JL; Watt, HC; Jenkins, R; Frost, C; Rossor, MN; Fox, NC; (2003) Change in rates of cerebral atrophy over time in early-onset Alzheimer's disease: longitudinal MRI study. Lancet, 362 (9390). pp. 1121-1122. ISSN 0140-6736 DOI: https://doi.org/10.1016/S0140-6736(03)14469-8 Full text not available from this repository. Chataway, J; Awad, M; Meadmore, K; Alsanousi, A; Frost, C; Chandler, K; Merrick, K; Wilkie, D; Nicholas, R; Chan, D; +3 more... Gisselmann, M; Koupil, I; de Stavola, BL; (2011) COGNITIVE AND NEUROPSYCHIATRIC STATUS IN A LARGE COHORT OF PATIENTS WITH SECONDARY PROGRESSIVE MULTIPLE SCLEROSIS The combined influence of parental education and preterm birth on school performance. [Conference or Workshop Item] https://doi.org/10.1136/jnnp-2011-300645.14 Full text not available from this repository. Chataway, J; Chan, D; Anderson, V; Polito, B; Kallis, C; Frost, C; Calder, V; Greenwood, J; Nicholas, R; , Mstc; (2008) The MS-STAT trial: a Phase II trial of high dose simvastatin in secondary progressive multiple sclerosis. [Conference or Workshop Item] http://researchonline.lshtm.ac.uk/id/eprint/5823 Full text not available from this repository. Clarke, R; Frost, C; (2001) Dietary fat, blood lipids and coronary heart disease risk. In: Wilson, T; Temple, NJ, (eds.) Nutritional Health: Strategies for Disease Prevention. Humana Press. http://researchonline.lshtm.ac.uk/id/eprint/18038 Full text not available from this repository. Clarke, R; Frost, C; Sherliker, P; Lewington, S; Collins, R; (2005) Dose-dependent effects of folic acid on plasma homocysteine Concentrations. A meta-analysis of the randomised trials. The American journal of clinical nutrition, 82. pp. 806-12. ISSN 0002-9165 http://researchonline.lshtm.ac.uk/id/eprint/19389 Full text not available from this repository. Clarke, R; Frost, C; Sherliker, P; Lewington, S; Collins, R; Brattstrom, L; Brouwer, I; van Dusseldorp, M; Steegers-Theunissen, RPM; Cuskelly, G; +34 more... Ward, M; McNulty, H; Scott, J; Den Heijer, M; Blom, H; van der Put, N; Shorah, CJ; Malinow, MR; McMahon, M; Tobert, J; Kush, D; Joosten, E; Riezier, R; Pietrzik, K; Dierkes, J; Bronstrup, A; Jacques, P; Mason, J; Rosenberg, I; Thambyrajah, J; Landray, M; Townend, J; Wheeler, D; Ubbink, J; van Oort, F; Melse-Boonstra, A; Verhoef, P; Woodside, JV; Yarnell, J; Young, IS; Evans, AE; Wald, D; Law, M; Wald, N; (2005) Dose-dependent effects of folic acid on blood concentrations of homocysteine: a meta-analysis of the randomized trials. The American journal of clinical nutrition, 82 (4). pp. 806-812. ISSN 0002-9165 http://researchonline.lshtm.ac.uk/id/eprint/6259 Full text not available from this repository. Cole, J; Rees, EM; Farmer, RE; Crawford, HE; Mueller, HP; Sprengelmeyer, R; Frost, C; Durr, A; Landwehrmeyer, B; Tabrizi, SJ; +2 more... Scahill, RI; Hobbs, NZ; (2012) RELIABILITY OF DIFFUSION TENSOR IMAGING MEASURES. [Conference or Workshop Item] https://doi.org/10.1136/jnnp-2012-303524.87 Full text not available from this repository. Cordery, R; Harvey, R; Frost, C; Rossor, M; (2002) National survey to assess current practices in the diagnosis and management of young people with dementia. International journal of geriatric psychiatry, 17 (2). pp. 124-7. ISSN 0885-6230 DOI: https://doi.org/10.1002/gps.527 Full text not available from this repository. Crawford, HE; Hobbs, NZ; Cole, J; Rees, EM; Owen, G; Langbehn, DR; Frost, C; Landwehrmeyer, B; Reilmann, R; Craufurd, D; +7 more... Stout, JC; Durr, A; Leavitt, B; Roos, RA; Tabrizi, SJ; Scahill, RI; Investigators, Track-, Hd; (2012) CORPUS CALLOSAL ATROPHY IN HUNTINGTON'S DISEASE. [Conference or Workshop Item] https://doi.org/10.1136/jnnp-2012-303524.83 Full text not available from this repository. Crawford, HE; Hobbs, NZ; Keogh, R; Langbehn, DR; Frost, C; Johnson, H; Landwehrmeyer, B; Reilmann, R; Craufurd, D; Stout, JC; +6 more... Durr, A; Leavitt, BR; Roos, RA; Tabrizi, SJ; Scahill, RI; TRACK-HD Investigators; (2013) Corpus callosal atrophy in premanifest and early Huntington's disease. Journal of Huntington's disease, 2 (4). pp. 517-26. ISSN 1879-6397 DOI: https://doi.org/10.3233/JHD-130077 Full text not available from this repository. Dennis, SM; Price, JF; Vickers, MR; Frost, CD; Levy, M; Barnes, PJ; (2002) The management of newly identified asthma in primary care in England. Primary Care Respiratory Journal, 11 (4). pp. 120-122. http://researchonline.lshtm.ac.uk/id/eprint/15711 Full text not available from this repository. Edwards, P; Cooper, R; Roberts, I; Frost, C; (2005) Meta-analysis of randomised trials of monetary incentives and response to mailed questionnaires. Journal of epidemiology and community health, 59 (11). pp. 987-99. ISSN 0143-005X DOI: https://doi.org/10.1136/jech.2005.034397 Full text not available from this repository. Edwards, P; Roberts, I; Sandercock, P; Frost, C; (2004) Follow-up by mail in clinical trials: does questionnaire length matter? Controlled clinical trials, 25 (1). pp. 31-52. ISSN 0197-2456 DOI: https://doi.org/10.1016/j.cct.2003.08.013 Full text not available from this repository. Feudjo-Tepie, M; Frost, C; Wang, D; Bakhai, A; (2006) Missing Data. In: Wang, D; Bakhai, A, (eds.) Clinical Trials: A Practical Guide to Design, Analysis and Reporting. Remedica, London, pp. 339-352. http://researchonline.lshtm.ac.uk/id/eprint/12189 Full text not available from this repository. Fox, NC; Schott, JM; Frost, C; Rossor, MN; (2004) Serial magnetic resonance imaging as an outcome measure in dementia. Neurobiology of aging, 25. S49. ISSN 0197-4580 DOI: https://doi.org/10.1016/S0197-4580(04)80165-9 Full text not available from this repository. Frost, C; Jones, R; Labuschange, I; Say, M; Justo, D; Coleman, A; Dumas, E; T Hart, E; Owen, G; Durr, A; +5 more... Leavitt, B; Roos, R; O'Regan, A; Tabrizi, SJ; Stout, JC; (2012) THE POTENTIAL OF A COMPOSITE COGNITIVE SCORE FOR TRACKING PROGRESSION IN HUNTINGTON'S DISEASE. [Conference or Workshop Item] https://doi.org/10.1136/jnnp-2012-303524.113 Full text not available from this repository. Frost, C; Kallis, C; (2009) Reply: A plea for confidence intervals and consideration of generalizability in diagnostic studies. Brain, 132. ISSN 0006-8950 DOI: https://doi.org/10.1093/brain/awn090 Full text not available from this repository. Frost, C; Kenward, MG; Fox, NC; (2008) Optimizing the design of clinical trials where the outcome is a rate. Can estimating a baseline rate in a run-in period increase efficiency? Statistics in medicine, 27 (19). pp. 3717-31. ISSN 0277-6715 DOI: https://doi.org/10.1002/sim.3280 Full text not available from this repository. Frost, C; Kenward, MG; Fox, NC; (2004) The analysis of repeated 'direct' measures of change illustrated with an application in longitudinal imaging. Statistics in medicine, 23 (21). pp. 3275-3286. ISSN 0277-6715 DOI: https://doi.org/10.1002/sim.1909 Full text not available from this repository. Frost, C; White, IR; (2005) The effect of measurement error in risk factors that change over time in cohort studies: do simple methods overcorrect for 'regression dilution'? International journal of epidemiology, 34 (6). pp. 1359-68. ISSN 0300-5771 DOI: https://doi.org/10.1093/ije/dyi148 Full text not available from this repository. Godbolt, AK; Waldman, AD; MacManus, DG; Schott, JM; Frost, C; Cipolotti, L; Fox, NC; Rossor, MN; (2006) MRS shows abnormalities before symptoms in familial Alzheimer disease. Neurology, 66 (5). pp. 718-722. ISSN 0028-3878 DOI: https://doi.org/10.1212/01.wnl.0000201237.05869.df Full text not available from this repository. Gregory, S; Cole, JH; Farmer, RE; Rees, EM; Roos, RA; Sprengelmeyer, R; Durr, A; Landwehrmeyer, B; Zhang, H; Scahill, RI; +3 more... Tabrizi, SJ; Frost, C; Hobbs, NZ; (2015) Longitudinal Diffusion Tensor Imaging Shows Progressive Changes in White Matter in Huntington's Disease. Journal of Huntington's disease, 4 (4). pp. 333-46. ISSN 1879-6397 DOI: https://doi.org/10.3233/JHD-150173 Full text not available from this repository. Haider, S; Andre, R; Farmer, R; Sussmuth, S; Frost, C; Bjorkqvist, M; Westerberg, G; Landwehrmeyer, B; Tabrizi, SJ; Consortium, Paddington; (2012) SIRT 1 MEDIATED MODULATION OF CIRCULATING CYTOKINES IN HUNTINGTON'S DISEASE-PHARMACODYNAMICS RESULTS FROM PHASE 1B STUDY OF SELISISTAT-A SIRT 1 INHIBITOR. [Conference or Workshop Item] https://doi.org/10.1136/jnnp-2012-303524.171 Full text not available from this repository. Haider, SS; Landwehrmeyer, BG; Sissumuth, SD; Frost, C; Farmer, R; Andre, R; Caricasole, A; Crauford, DI; Westerberg, G; Tabrizi, SJ; (2012) FROM BIOLOGY TO THE BEDSIDE-SIRTUINS AS TARGETS FOR DISEASE MODIFICATION IN HUNTINGTON'S DISEASE: SELISISTAT PRECLINICAL DATA AND PRELIMINARY PHASE I RESULTS. [Conference or Workshop Item] http://researchonline.lshtm.ac.uk/id/eprint/1105317 Full text not available from this repository. Hemingway, H; Langenberg, C; Damant, J; Frost, C; Pyörälä, K; Barrett-Connor, E; (2008) Prevalence of Angina in Women Versus Men. A Systematic Review and Meta-Analysis of International Variations Across 31 Countries. Circulation, 117 (12). pp. 1526-36. ISSN 0009-7322 DOI: https://doi.org/10.1161/CIRCULATIONAHA.107.720953 Full text not available from this repository. Henley, SM; Frost, C; MacManus, DG; Warner, TT; Fox, NC; Tabrizi, SJ; (2006) Increased rate of whole-brain atrophy over 6 months in early Huntington's disease. Neurology, 67 (4). pp. 694-6. ISSN 0028-3878 DOI: https://doi.org/10.1212/01.wnl.0000230149.36635.c8 Full text not available from this repository. Henley, SM; Wild, EJ; Hobbs, NZ; Frost, C; MacManus, DG; Barker, RA; Fox, NC; Tabrizi, SJ; (2009) Whole-brain atrophy as a measure of progression in premanifest and early Huntington's disease. Movement disorders, 24 (6). pp. 932-6. ISSN 0885-3185 DOI: https://doi.org/10.1002/mds.22485 Full text not available from this repository. Henley, SMD; Warrington, EK; Frost, C; MacManus, DG; Warner, TT; Fox, NC; Tabrizi, SJ; (2005) MRI and cognitive changes detectable over 6 and 12 months in early Huntington's disease. [Conference or Workshop Item] http://researchonline.lshtm.ac.uk/id/eprint/6260 Full text not available from this repository. Henley, SMD; Wild, EJ; Hobbs, NZ; Warren, JD; Frost, C; Scahill, RI; Ridgway, GR; MacManus, DG; Barker, RA; Fox, NC; +1 more... Tabrizi, SJ; (2008) Defective emotion recognition in early HD is neuropsychologically and anatomically generic. Neuropsychologia, 46 (8). pp. 2152-2160. ISSN 0028-3932 DOI: https://doi.org/10.1016/j.neuropsychologia.2008.02.025 Full text not available from this repository. Hin, H; Clarke, R; Sherliker, P; Atoyebi, W; Emmens, K; Birks, J; Schneede, J; Ueland, PM; Nexo, E; Scott, J; +4 more... Molloy, A; Donaghy, M; Frost, C; Evans, JG; (2006) Clinical relevance of low serum vitamin B12 concentrations in older people: the Banbury B12 study. Age and ageing, 35 (4). pp. 416-22. ISSN 0002-0729 DOI: https://doi.org/10.1093/ageing/afl033 Full text not available from this repository. Hobbs, NZ; Barnes, J; Frost, C; Henley, SM; Wild, EJ; Macdonald, K; Barker, RA; Scahill, RI; Fox, NC; Tabrizi, SJ; (2010) Onset and Progression of Pathologic Atrophy in Huntington Disease: A Longitudinal MR Imaging Study. AJNR American journal of neuroradiology, 31 (6). pp. 1036-41. ISSN 0195-6108 DOI: https://doi.org/10.3174/ajnr.A2018 Full text not available from this repository. Hobbs, NZ; Cole, J; Farmer, RE; Rees, EM; Scahill, RI; Crawford, HE; Roos, RAC; Sprengelmeyer, R; Durr, A; Landwehrmeyer, B; +2 more... Tabrizi, SJ; Frost, C; (2012) EVALUATION OF MULTI-MODAL, MULTI-SITE IMAGING MEASURES IN HUNTINGTON'S DISEASE: BASELINE RESULTS FROM THE PADDINGTON STUDY. [Conference or Workshop Item] https://doi.org/10.1136/jnnp-2012-303524.81 Full text not available from this repository. Hobbs, NZ; Farmer, RE; Rees, EM; Cole, JH; Haider, S; Malone, IB; Sprengelmeyer, R; Johnson, H; Mueller, HP; Sussmuth, SD; +6 more... Roos, RA; Durr, A; Frost, C; Scahill, RI; Landwehrmeyer, B; Tabrizi, SJ; (2015) Short-interval observational data to inform clinical trial design in Huntington's disease. Journal of neurology, neurosurgery, and psychiatry. ISSN 0022-3050 DOI: https://doi.org/10.1136/jnnp-2014-309768 Full text not available from this repository. Hobbs, NZ; Henley, SM; Wild, EJ; Leung, KK; Frost, C; Barker, RA; Scahill, RI; Barnes, J; Tabrizi, SJ; Fox, NC; (2009) Automated quantification of caudate atrophy by local registration of serial MRI: evaluation and application in Huntington's disease. NeuroImage, 47 (4). pp. 1659-65. ISSN 1053-8119 DOI: https://doi.org/10.1016/j.neuroimage.2009.06.003 Full text not available from this repository. Hobbs, NZ; Pedrick, AV; Say, MJ; Frost, C; Santos, RD; Coleman, A; Sturrock, A; Craufurd, D; Stout, JC; Leavitt, BR; +3 more... Barnes, J; Tabrizi, SJ; Scahill, RI; (2011) The Structural Involvement of the Cingulate Cortex in Premanifest and Early Huntington's Disease. Movement disorders, 26 (9). pp. 1684-1690. ISSN 0885-3185 DOI: https://doi.org/10.1002/mds.23747 Full text not available from this repository. Howlett, DC; Drinkwater, K; Frost, C; Higginson, A; Ball, C; Maskell, G; (2017) Re: The accuracy of emergency abdominal CT in adult patients who present with non-traumatic abdominal pain: results of a UK national audit. A reply. Clinical radiology, 72 (10). p. 897. ISSN 0009-9260 DOI: https://doi.org/10.1016/j.crad.2017.05.011 Full text not available from this repository. Howlett, DC; Drinkwater, K; Frost, C; Higginson, A; Ball, C; Maskell, G; (2017) Re: The accuracy of interpretation of emergency abdominal CT in adult patients who present with non-traumatic abdominal pain: results of a UK national audit. A reply. Clinical radiology, 72 (7). pp. 607-609. ISSN 0009-9260 DOI: https://doi.org/10.1016/j.crad.2017.03.012 Full text not available from this repository. Jones, BF; Barnes, J; Uylings, HBM; Fox, NC; Frost, C; Witter, MP; Scheftens, P; (2006) Differential regional atrophy of the cingulate gyrus in Alzheimer disease: A volumetric MRI study. Cerebral cortex (New York, NY, 16 (12). pp. 1701-8. ISSN 1047-3211 DOI: https://doi.org/10.1093/cercor/bhj105 Full text not available from this repository. Jones, R; Stout, JC; Labuschagne, I; Say, M; Justo, D; Coleman, A; Dumas, EM; Hart, E; Owen, G; Durr, A; +6 more... Leavitt, BR; Roos, R; O'Regan, A; Langbehn, D; Tabrizi, SJ; Frost, C; (2014) The Potential of Composite Cognitive Scores for Tracking Progression in Huntington's Disease. Journal of Huntington's disease, 3 (2). pp. 197-207. ISSN 1879-6397 DOI: https://doi.org/10.3233/JHD-140101 Full text not available from this repository. Ker, K; Roberts, I; Collier, T; Beyer, F; Bunn, F; Frost, C; (2005) Post-licence driver education for the prevention of road traffic crashes: a systematic review of randomised controlled trials. Accident; analysis and prevention, 37 (2). pp. 305-13. ISSN 0001-4575 DOI: https://doi.org/10.1016/j.aap.2004.09.004 Full text not available from this repository. Knight, WD; Kim, LG; Douiri, A; Frost, C; Rossor, MN; Fox, NC; (2011) Acceleration of cortical thinning in familial Alzheimer's disease. Neurobiology of aging, 32 (10). pp. 1765-1773. ISSN 0197-4580 DOI: https://doi.org/10.1016/j.neurobiolaging.2009.11.013 Full text not available from this repository. Labuschagne, I; Jones, R; Callaghan, J; Whitehead, D; Dumas, EM; Say, MJ; Hart, EP; Justo, D; Coleman, A; Santos, RCD; +5 more... Frost, C; Craufurd, D; Tabrizi, SJ; Stout, JC; Investigators, Track-, Hd; (2013) Emotional face recognition deficits and medication effects in pre-manifest through stage-II Huntington's disease. Psychiatry research, 207 (1-2). pp. 118-126. ISSN 0165-1781 DOI: https://doi.org/10.1016/j.psychres.2012.09.022 Full text not available from this repository. 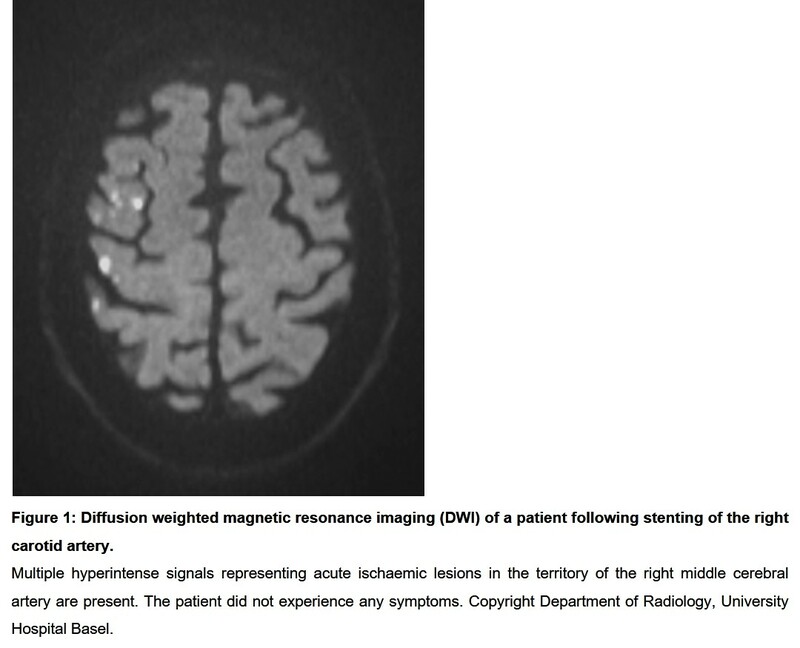 Likeman, M; Anderson, VM; Stevens, JM; Waldman, AD; Godbolt, AK; Frost, C; Rossor, MN; Fox, NC; (2005) Visual assessment of atrophy on magnetic resonance imaging in the diagnosis of pathologically confirmed young-onset dementias. Archives of neurology, 62 (9). pp. 1410-5. ISSN 0003-9942 DOI: https://doi.org/10.1001/archneur.62.9.1410 Full text not available from this repository. MacLeod, JBA; Kobusingye, O; Frost, C; Lett, R; Kirya, F; Shulman, C; (2003) A Comparison of the Kampala Trauma Score (KTS) with the Revised Trauma Score (RTS), Injury Severity Score (ISS) and the TRISS Method in a Ugandan Trauma Registry. Is Equal Performance Achieved with Fewer Resources? European Journal of Trauma, 29. pp. 392-398. ISSN 1439-0590 DOI: https://doi.org/10.1007/s00068-003-1277-5 Full text not available from this repository. Moles, DR; Frost, C; Grundy, C; (2001) Inequalities in availability of National Health Service general dental practitioners in England and Wales. British dental journal, 190 (10). pp. 548-553. ISSN 0007-0610 DOI: https://doi.org/10.1038/sj.bdj.4801032a Full text not available from this repository. Moser, K; Frost, C; Leon, DA; (2007) Comparing health inequalities across time and place rate ratios and rate differences lead to different conclusions: analysis of cross-sectional data from 22 countries 1991 2001. International journal of epidemiology, 36 (6). pp. 1285-91. ISSN 0300-5771 DOI: https://doi.org/10.1093/ije/dym176 Full text not available from this repository. Nicholas, J; Meade, T; Fiford, C; Manning, EN; Carmichael, O; Biessels, GJ; Bartlett, JW; Fox, NC; Frost, C; Barnes, J; (2014) AAIC abstract: Impact of baseline adjustment for vascular risk factors on sample size for atrophy outcomes in Alzheimer's disease clinical trials. [Conference or Workshop Item] http://researchonline.lshtm.ac.uk/id/eprint/1918143 Full text not available from this repository. Paranjothy, S; Frost, C; Thomas, J; (2005) How much variation in CS rates can be explained by case mix differences? BJOG, 112 (5). pp. 658-66. ISSN 1470-0328 DOI: https://doi.org/10.1111/j.1471-0528.2005.00501.x Full text not available from this repository. 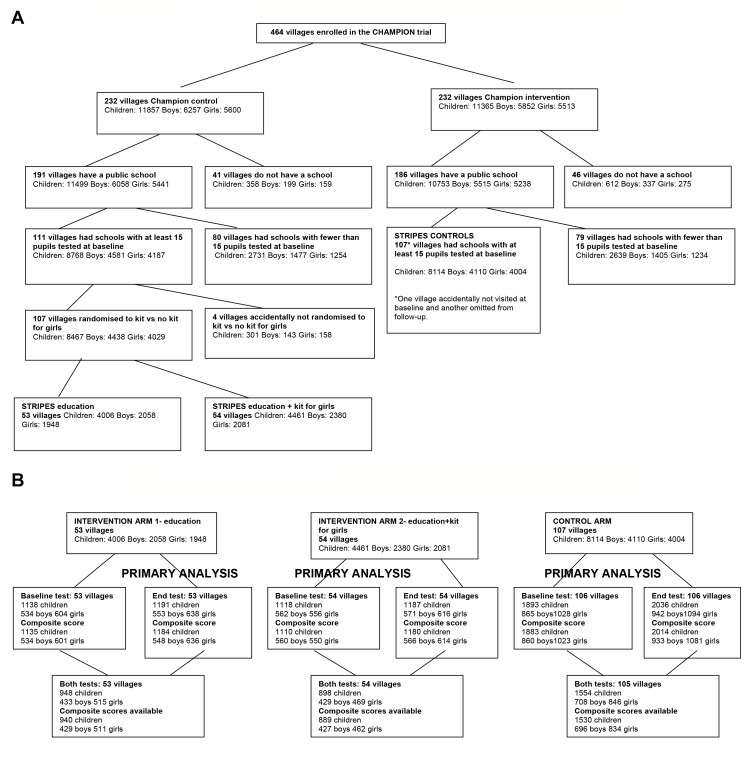 Radke, PW; Kaiser, A; Frost, C; Sigwart, U; (2002) Outcome after treatment of coronary in-stent restenosis: results from a meta-analysis including 3012 patients. [Conference or Workshop Item] http://researchonline.lshtm.ac.uk/id/eprint/16113 Full text not available from this repository. Rees, EM; Farmer, R; Cole, JH; Henley, SM; Sprengelmeyer, R; Frost, C; Scahill, RI; Hobbs, NZ; Tabrizi, SJ; (2014) Inconsistent emotion recognition Deficits across stimulus Modalities in Huntington's disease. Neuropsychologia. ISSN 0028-3932 DOI: https://doi.org/10.1016/j.neuropsychologia.2014.09.023 Full text not available from this repository. Ridha, BH; Symms, MR; Tozer, DJ; Stockton, KC; Frost, C; Siddique, MM; Lewis, EB; MacManus, DG; Boulby, PA; Barker, GJ; +3 more... Rossor, MN; Fox, NC; Tofts, PS; (2007) Magnetization transfer ratio in Alzheimer disease: Comparison with volumetric measurements. AJNR American journal of neuroradiology, 28 (5). pp. 965-70. ISSN 0195-6108 http://researchonline.lshtm.ac.uk/id/eprint/9401 Full text not available from this repository. Schott, JM; Crutch, SJ; Frost, C; Warrington, EK; Rossor, MN; Fox, NC; (2008) Neuropsychological correlates of whole brain atrophy in Alzheimer's disease. Neuropsychologia, 46 (6). pp. 1732-1737. ISSN 0028-3932 DOI: https://doi.org/10.1016/j.neuropsychologia.2008.02.015 Full text not available from this repository. Schott, JM; Fox, NC; Frost, C; Scahill, RI; Janssen, JC; Chan, D; Jenkins, R; Rossor, MN; (2003) Assessing the onset of structural change in familial Alzheimer's disease. Annals of neurology, 53 (2). pp. 181-188. ISSN 0364-5134 DOI: https://doi.org/10.1002/ana.10424 Full text not available from this repository. Schott, JM; Frost, C; Crutch, SJ; Boyes, RG; Whitwell, JL; Scahill, RI; Rossor, MN; Warrington, EK; Fox, NC; (2004) Predictors and correlates of inter-individual variation in MRI derived atrophy rates in Alzheimer's disease. Neurobiology of aging, 25. S369. ISSN 0197-4580 DOI: https://doi.org/10.1016/S0197-4580(04)81214-4 Full text not available from this repository. Schott, JM; Frost, C; MacManus, DG; Ibrahim, F; Waldman, AD; Fox, NC; (2010) Short echo time proton magnetic resonance spectroscopy in Alzheimer's disease: a longitudinal multiple time point study. Brain, 133. pp. 3315-3322. ISSN 0006-8950 DOI: https://doi.org/10.1093/brain/awq208 Full text not available from this repository. Schott, JM; Frost, C; Whitwell, JL; MacManus, DG; Boyes, RG; Rossor, MN; Fox, NC; (2006) Combining short interval MRI in Alzheimer's disease. Journal of neurology, 253 (9). pp. 1147-1153. ISSN 0340-5354 DOI: https://doi.org/10.1007/s00415-006-0173-4 Full text not available from this repository. Schott, JM; Price, SL; Frost, C; Whitwell, JL; Rossor, MN; Fox, NC; (2005) Measuring atrophy in Alzheimer disease - A serial MRI study over 6 and 12 months. Neurology, 65 (1). pp. 119-24. ISSN 0028-3878 DOI: https://doi.org/10.1212/01.wnl.0000167542.89697.0f Full text not available from this repository. Shah, SP; Bartlett, JW; Frost, C; (2006) Highlighting the methodology. Eye (London, England), 21 (1). pp. 126-7. ISSN 0950-222X DOI: https://doi.org/10.1038/sj.eye.6702439 Full text not available from this repository. Suessmuth, SD; Haider, S; Landwehrmeyer, GB; Farmer, R; Frost, C; Tripepi, G; Andersen, CA; di Bacco, M; Lamanna, C; Diodato, E; +18 more... Massai, L; Diamanti, D; Mori, E; Magnoni, L; Dreyhaupt, J; Schiefele, K; Craufurd, D; Saft, C; Rudzinska, M; Ryglewicz, D; Orth, M; Brzozy, S; Baran, A; Pollio, G; Andre, R; Tabrizi, SJ; Darpo, B; Westerberg, G; (2014) An exploratory double-blind, randomized clinical trial with selisistat, a SirT1 inhibitor, in patients with Huntington's disease. British journal of clinical pharmacology, 79 (3). pp. 465-476. ISSN 0306-5251 DOI: https://doi.org/10.1111/bcp.12512 Full text not available from this repository. Tabrizi, S; Craufurd, D; Durr, A; Fox, N; Frost, C; Hicks, S; Illmann, T; Johnson, H; Kennard, C; Landwehrmeyer, GB; +2 more... Langbehn, D; Track, HDI; (2008) Track-HD tracking progression in premanifest and early Huntington's disease. Journal of neurology, neurosurgery, and psychiatry, 79. A19-A19. ISSN 0022-3050 http://researchonline.lshtm.ac.uk/id/eprint/6848 Full text not available from this repository. Tabrizi, SJ; Langbehn, DR; Leavitt, BR; Roos, RA; Durr, A; Craufurd, D; Kennard, C; Hicks, SL; Fox, NC; Scahill, RI; +10 more... Borowsky, B; Tobin, AJ; Rosas, HD; Johnson, H; Reilmann, R; Landwehrmeyer, B; Stout, JC; the TRACK-HD investigators (inc. Frost, C; Jones, R; ); (2009) Biological and clinical manifestations of Huntington's disease in the longitudinal TRACK-HD study: cross-sectional analysis of baseline data. Lancet neurology, 8 (9). pp. 791-801. ISSN 1474-4422 DOI: https://doi.org/10.1016/S1474-4422(09)70170-X Full text not available from this repository. Tabrizi, SJ; Scahill, RI; Owen, G; Durr, A; Leavitt, BR; Roos, RA; Borowsky, B; Landwehrmeyer, B; Frost, C; Johnson, H; +5 more... Craufurd, D; Reilmann, R; Stout, JC; Langbehn, DR; TRACK-HD Investigators; (2013) Predictors of phenotypic progression and disease onset in premanifest and early-stage Huntington's disease in the TRACK-HD study: analysis of 36-month observational data. Lancet neurology, 12 (7). pp. 637-49. ISSN 1474-4422 DOI: https://doi.org/10.1016/S1474-4422(13)70088-7 Full text not available from this repository. Weiss, A; Trager, U; Wild, EJ; Grueninger, S; Farmer, R; Landles, C; Scahil, RI; Lahiri, N; Haider, S; MacDonald, D; +6 more... Frost, C; Bates, GP; Bilbe, G; Kuhn, R; Andre, R; Tabrizi, SJ; (2012) Mutant huntingtin fragmentation in immune cells tracks Huntington's disease progression. The Journal of clinical investigation, 122 (10). pp. 3731-3736. ISSN 0021-9738 DOI: https://doi.org/10.1172/JCI64565 Full text not available from this repository. Wild, EJ; Henley, SMD; Hobbs, NZ; Frost, C; MacManus, DG; Barker, RA; Fox, NC; Tabrizi, SJ; (2010) Rate and Acceleration of Whole-Brain Atrophy in Premanifest and Early Huntington's Disease. Movement disorders, 25 (7). pp. 888-895. ISSN 0885-3185 DOI: https://doi.org/10.1002/mds.22969 Full text not available from this repository. Barnes, J; Bartlett, JW; Wolk, DA; van der Flier, WM; Frost, C; (2018) Disease Course Varies According to Age and Symptom Length in Alzheimer's Disease. Journal of Alzheimer's disease. ISSN 1387-2877 DOI: https://doi.org/10.3233/JAD-170841 Item availability may be restricted. This list was generated on Wed Apr 24 17:46:43 2019 BST.